Buying eyepieces is a real minefield because different focal lengths often have subtly different characteristics in the same range. What’s more, some eyepieces work well in some scopes, but not others (the Pentax XW14 being a dramatic case in point). So I thought I’d share some of my favourites from the many (too many) eyepieces I have owned over the years. You’l l notice I only really feature a few makes here. There’s a good reason for that. I recently spoke to a dealer of high-end kit and funnily enough he only stocks the two makes I feature most. 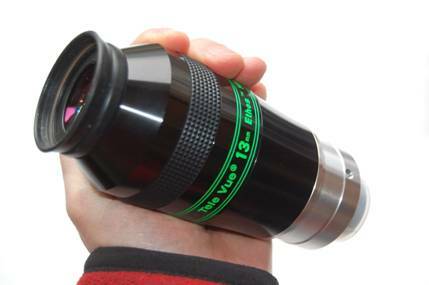 There are now many makers of fine telescopes, but when it comes to eyepieces there are (far) fewer. I love this range of eyepieces, which is why I’ve put them first. Everything about them is first class, from build quality through coatings, to the nice wide, flat field with minimal distortions. 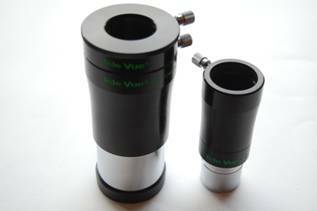 I believe these are made using exotic glasses and Tele Vue tests them to work with fast scopes to F4 (a general feature with TV eyepieces). And the icing on the cake, of course, is that TV Plossls aren’t even expensive, especially used. Tough? You’re not kidding. My 55mm fell three feet to a concrete floor in my dome and suffered only a scratched barrel. Plossls in general suffer from eye relief that drops off with decreasing focal length and this affects TV Plossls as well. For me this means that the longer focal lengths are the nicest. 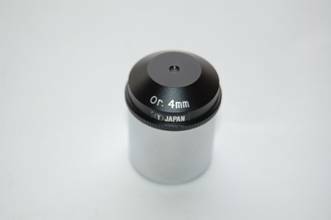 The 55mm is a 2” only design that is quite light and lovely to use, but is almost too low-power for smaller scopes and may even be a problem to bring to focus with some; it’s the perfect low power eyepiece for big SCTs, though. The 32mm gives the maximum field you can get in 1.25” with a huge eye lens and loads of eye relief – it’s a wonderful low power eyepiece: once bought, never sold. The 25mm and 20mm are great as well and the 15mm is comfortable enough, but not with glasses. The 11mm and 8mm are less comfortable, but still perfectly usable. The final point is that these barlow up superbly. Side-by-side tests with a raft of other EPs showed me that TV Plossls plus 5x TV Powermate give the sharpest planetary views available and with the bonus of much better eye relief and less chromatic aberration than many high-power EPs. The SMC XW range from Pentax replaced the XLs. They are generally similar, but have a wide field (70 degrees as opposed to 60). 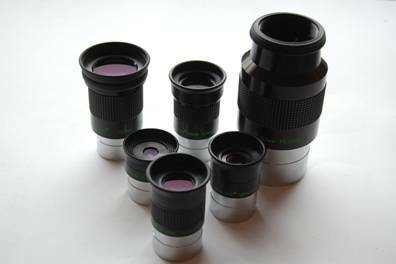 All Pentax eyepieces are superbly made, better than Tele Vue, if anything, and with the finest coatings around (hence the “SMC” moniker – Super Multi Coatings). All the XWs feature huge eye relief, very high sharpness and contrast and are even water resistant. The XWs, however, are not a scaled design although they look as if they are. This means that some have rather different characteristics from others. The XW14 is particularly scope sensitive – in some longer focal length scopes it has the same flat field as the rest (more or less), but in fast scopes it can be horrible, with a lot of off-axis field curvature and coma. 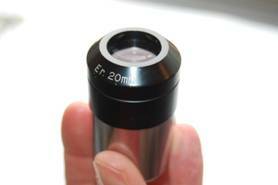 The 20mm and 30mm designs are also said to suffer the same sensitivity to some extent. The shorter lengths make fine (if large) high-power eyepieces with superior sharpness and contrast to Naglers from my experience, but by far my favourite XW is the 40mm. This wonderful eyepiece has virtually the maximum field you can get in a 2” barrel, is reasonably light and compact compared to a big Nagler and has masses of eye relief and suffers very little from blackouts, so that it is supremely comfortable. The field drops off a little towards the edge, but in general distortions are very low and sharpness and contrast supreme. 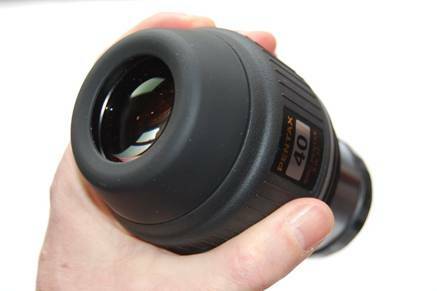 For DSOs this eyepiece has an enormous “wow” factor in my TMB175. It doubles up nicely with a 2x 2” Powermate, so you don’t need the 20mm. It even works well in the daytime, too! I have only tried the original 13mm, but it is a real favourite. Compared with say a T5 or T4 Nagler it is surprisingly lighter in weight (though big and tall), but also brighter and more contrasty. The field is very flat and suffers less chromatic aberration towards the edge than some wide field designs. For much of the field width it is razor sharp. The Ethos works superbly for DSOs, this you probably already know. But the Ethos is also my favourite eyepiece for the Moon with my big refractor: it gives 108x, but the whole Moon fits in the field with room to spare and is full of sharp detail. The field stop almost disappears with the 100 degree field and it seems as if you are looking out of a porthole in an orbiting spacecraft. My entire setup - TMB175, AP1200 and Ethos 13mm – would be worth it just for the view of the first quarter moon it delivers. I’ll never be an astronaut, but this is as close as it gets. These were the dream eyepiece when I was 14 in 1977. I only had one, a 9mm, but I schemed to replace my Kellners and Huygenians with others. Nowadays the design is the same, but in relative terms these Orthos are much cheaper, but still a great eyepiece. For longer focal lengths I would stick with TV Plossls, but the great thing about the Orthos is that they still have (just!) usable eye relief down to 4mm. One slight criticism is that the coatings aren’t up to the best modern standards, but the Circle-T orthos are still one of the best budget designs around. The Erfle is the original wide field eyepiece that was being used in military optics during WW2 and used to be found in high end binoculars like Zeiss Oberkochen Porro’s and Zeiss Jena Notarems. Nowadays more modern designs – Naglers, XWs, Radians, Ethos etc – have eclipsed the Erfle. In some ways that’s fair because at shorter focal lengths Erfles have a lot more aberration than modern wide-fields, but at long focal lengths they work very well and continue to impress. The Circle-T Erfle is a volcano-top design that shares its physical appearance with the orthoscopics described above and isn’t much larger. Despite having old single coatings, it works very nicely and the field is wide, flat and bright. In the late 70’s this was the eyepiece and was a revelation after the looking-through-a-straw view through a Ramdsen or a Kellner. I desperately wanted another one, but couldn’t afford it. Nowadays it is a light-weight, cheap-but-good wide-field alternative. Naglers are a bit of a mixed bag in my opinion. There, I’ve said it. There are many designs and although they all offer a very flat 80 degree FOV along with high optical quality, the manner of delivery varies a good deal. The Type 6s work well as general purpose eyepieces, but are a little less bright and contrasty than some in my opinion and have limited eye relief. Meanwhile the T5’s are big and heavy and lack something in eye relief as well; I just prefer Ethos, which seem to me to deliver a much more genuine “porthole” view, or the big Pentax XW40 which is lighter, suffers less blackouts and is more comfortable with its huge eye relief. 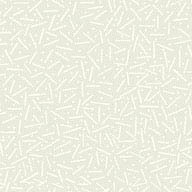 Of the Naglers, though, one model stands out for me – the 17mm Type 4. Yes it’s heavy (though compact), but the good eye relief and big lens make it more “immersive” than other Naglers and I personally like the instadjust click-stop eye guard, which makes it easy to shield from stray light. The 17mm T4 is particularly at home on deep sky in a small-medium refractor, where views of nebulae and clusters give that promised “spacewalk” view that I fail to get with some other Naglers. Youthful memories of dimness and horrible aberrations put me off barlows and it wasn’t just poor memory because the barlow on my 1964 Questar is dreadful. So when I bought a Powermate it was mainly to increase image scale for web cam imaging and I didn’t use it visually for a long time. Turns out my view of barlows is out of date because Powermates are invisible in use and work superbly. Not only can they turn a 20mm Plossl with great eye relief into a sharp high-power eyepiece, but they can also halve the number of eyepieces you need. This is a major bonus. Got a 13mm ethos? Buy a 2x 2” Powermate and you have a 6.5mm Ethos as well. So a Powermate is really a whole new set of eyepieces, not just a quick and dirty fix when you need more power and don’t care how you get it.